To keep the toy mess down we use a toy rotation for the little ones. 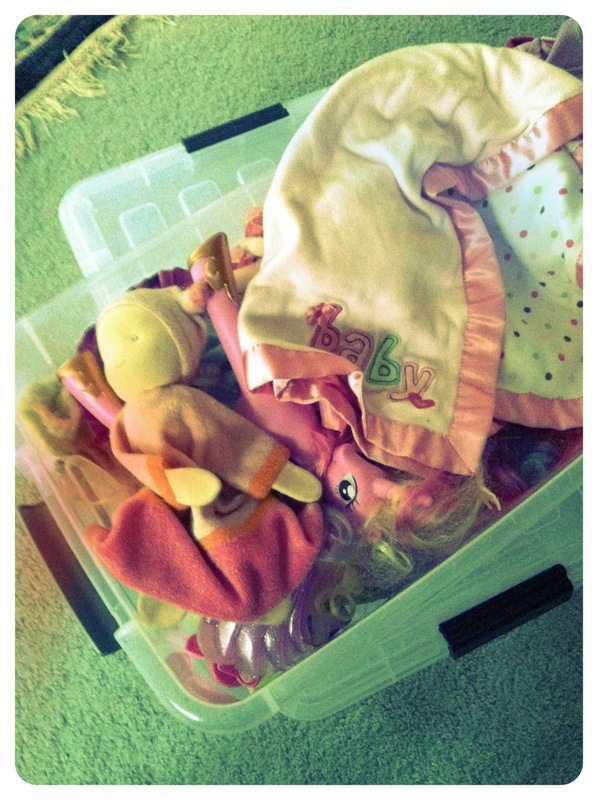 We use plastic bins to store away toys. Then they can pull a box out to play and just that box. Each box gets an old baby blanket. They can set out the blanket for play. If they keep most of the toys on the blanket it is pretty easy to bunch up the ends and dump them back in the box. But, an old blanket is just a fun toy or cape or tablecloth for the imaginative child. I hope you have enjoyed reading my blog. Your comment should be available soon. I am a crunchy Christian mom to four boys and one girl ♥ We are a homeschooling Family. Our family can't stay still for long. We are always on the move. Our homeschool is inspired by The Well Trained Mind, Waldorf, and a bit of Charlotte Mason. Our lives are inspired by The Word of God, Jesus, Miracles, and sunshine when we can find it. Get updates in your email box!